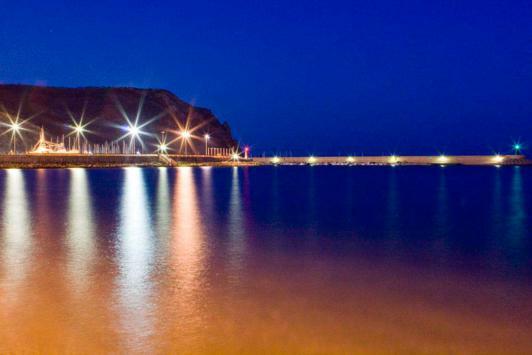 This coastal town on the eastern tip of Alicante province has become such a popular holiday destination that its population of around 32 thousand inhabitants swells up to more than triple this number during the summer tourist season. Javea (called Xabia, in the Valenciano dialect) is the oldest known Roman settlement on Spain's east coast, dating as far back as the second century A.D. when Roman boats traded here for fish and minerals. During the sixth century Visigoth Christian monks arrived and founded the monastery of San Martin. To this day you will encounter locals with Visigoth names. There is not much evidence left of their influence, but the Moors were present from the 700s until they were expelled in 1609. Pirate attacks forced inhabitants to retreat to a walled section two kilometers inland from the coast. This walled town was maintained until the 1800s. Today it is the historic Old Quarter, where you can still see the 14th century Gothic church of San Bartolome, around which the town was built. Originally built out of stone carved out from the rocky shore, the church's walls are pockmarked by bullet holes from the Spanish Civil War of 1936 to 1939. North of the church sits the market, where you can enjoy fresh local produce -- fruits, vegetables, fish and meat. Around the town are many whitewashed traditional houses, with their characteristic iron window grills and balconies. A museum and art gallery are also notable places to visit. 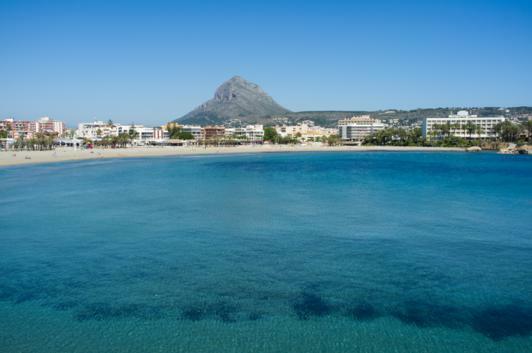 During the 60s, Javea was converted from a sleepy fishing town into one of the centers of Spanish tourism, right alongside Marbella and Mallorca as one of the premiere holiday destinations in the country. The port area houses some restaurants, a gravel beach and the marina. The nearby Avenida del Mediterraneo offers more restaurants and bars where you'll find a surprising variety of culinary offerings, including dishes from China, Germany, France, England and the Netherlands. A path near the harbor will take you up the hill to reveal a magnificent view of the Cabo San Martin. Arenal Beach is legendary for its clean, clear waters, and is even accredited by the World Health Organization as a "near-perfect blue flag beach." The beach curves gently, with restaurants, bars and souvenir shops dotting the promenade that stretches about a mile and a half along the shore. It's common to see sand sculptors doing their thing, and you can also join a volleyball game or two. The night life here and in the old quarter is quite active, especially during the tourist season. The bars offer live music besides ice cold beer and cocktails, and may stay open until the wee hours of the morning. Water sports are very popular, as you can expect. There is a marine sanctuary in nearby San Antonio, where you can enjoy diving or snorkeling. 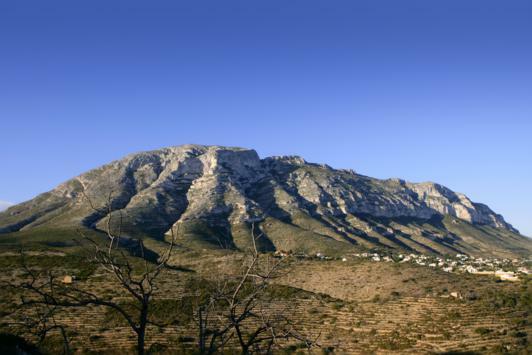 For nature lovers, a holiday in Javea will include a visit to Montgo Nature Park. Rising up 753 meters (2,470 feet) the Montgo Mountain features more than 600 species of plants, some of which are unique to the area. This is the second highest peak this close to the Mediterranean Sea, but getting to the top is an enjoyable trek through a wide range of terrain, truly a nature trip to remember. A number of world class golf courses make sure aficionados of the sport also have their little pocket of paradise in Javea. There are a number of windmills in the area, with some that date back to as early as the 14th century.